iGyaan has come up with amazing Smartphone Giveaway from which you can win 1 out of Four Honor 7X Smartphone. 4 lucky winners will be chosen by random and Get Honor 7X Free of Cost. Honor 7X is an Affordable Smartphone by Huawei Brand. 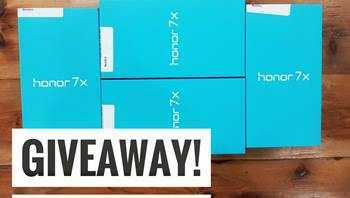 So Go Ahead and enter in the iGyaan Honor 7X Giveaway. Honor 7x is a Budget Smartphone with very good Specifications & Features. This Honor 7x comes with 16 MP Rear Camera & 8 MP front camera for clicking amazing photos. It’s powered by 3340mAh non-removable battery which lasts a day after full charge for Low Usage Users. Incredible phone at affordable price. 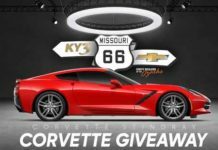 Visit Giveaway Widget and Sign in through Email Account or Facebook / Any other Social Network Account. You will see various Social Actions to gain Entries for the Giveaway. Complete these actions to enter the Giveaway and increase your Chance of winning by collecting maximum Entries. 4 Winners will be selected by random Drawa by Gleam.io and reared with Free Honor 7X Smartphone.